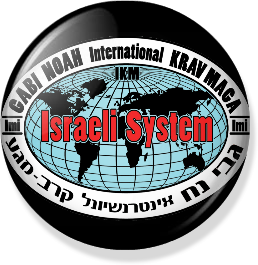 Krav Maga (in Hebrew) means contact combat and is the official self defence and combat system used by the Israeli Defence Forces (IDF), Israeli Police and Security Services and numerous law enforcement agencies around the world. Developed and refined during years of conflict, Krav Maga emphasises easy-to-learn techniques that have been battle tested in real life threatening situations. These training methods have been used by Israel's most elite combat units and proven effective time and time again. Because Krav Maga is based on human reflexes, it is easier to learn and is not confined to sportsmen/women. Students learn to defend themselves in hostile confrontations, to avoid injury and quickly overcome their assailant. Krav Magadefences include various methods of attack, such as blows with the elbow or knee, kicks, chokes etc. as well as defences against more than one assailant, armed or unarmed. Once the student has learnt the basic principles of Krav Maga, he/she is capable of adapting to all situations until it becomes an automatic reflex and part of one's daily life. Students are capable of applying Krav Maga principles and techniques even in unfamiliar or adverse circumstances, such as dark surroundings, sitting or lying positions, with limited freedom or movement or under extreme stress and/or fatigue. Krav Maga embodies the psychological dimensions of a fight and learning how to use the environment to your advantage. In addition, its specialised training methods not only challenge students physically, but also instil a special mental discipline to strengthen and develop the ability to deal with violent confrontations under highly stressful situations. Krav Maga is not a martial art based on traditional concepts. It is a modern method characterised by logic and builds up easy, natural and practical techniques through simple automatic reflexes of the body. The nature of Krav Maga simulates real life situations, teaching how to save lives and cope with violence. Krav Maga does not include rules and limitations. Therefore, there are no competitions for Krav Maga because it is designed to be a realistic fighting system.